Lying in bed night after night, Aaron McGregor is entranced by the melancholy howling of the wolves on the hill nearby. Like them, Aaron is an outsider. A young orphan, he was reluctantly taken in by his Uncle Archie and his embittered wife Rebecca. A bright boy at school, Aaron is picked on by Big Josh Grossler, a hulking pre-adolescent. 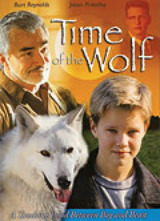 When the local farmers cull the wolf pack, Aaron finds and nurtures the only survivor. But as time goes by, it becomes harder for Aaron to keep its existence a secret. And his rivalry with Josh seems destined to end in tragedy. Unless the wolf recognizes one of its own.